Hey All! 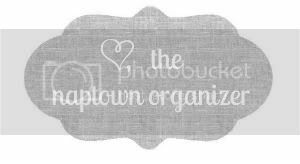 I'm Jayne & I blog over at The Naptown Organizer. I am a wife, mother to my adorable toddler little man, speech language pathologist, blogger, organizer, pet parent, and soon to be mama of two as I'm due with a baby girl in December! I blog all about my trek into being a crunchy mama through parenting, any and everything granola, and a life more organized. Check out The Naptown Organizer for all of the above plus some tidbits on decorating, fashion, and giveaways/free stuff!!! Today, though, let's talk about baby names. Normally that sentence will elicit looks of terror from my husband and makes me want to run out of the room screaming. I'm sure there are some couples who are so in sync with their name choices, that choosing a name for their child/children is easy. For us? Not so much. I mentioned I have a toddler, right? Well, to come up with his name, we tried everything. We spent hours devouring baby name books, websites, and lists together. We watched television and looked through books to find names of characters that we liked. We came up with our own lists separately and then came back together and compared notes. None of it worked. What really helped us choose our baby's name? Construction. Lol. Close to the end of my pregnancy, we were in the middle of a bathroom renovation project. My husband REALLY wanted to tile the shower a certain way, and I disagreed and wanted it done a different way. In the end, to stop the fuss over the bathroom, my husband just said, "Okay. Here's the deal, if you let me tile this shower how I want to, you can name our son whatever you want." Done. So that rather romantic story is the way in which we came about the name for our first child. And this new baby? No different. We know what the middle name will be (Elisabeth), but as for the first name, we are up the proverbial creek without a paddle. 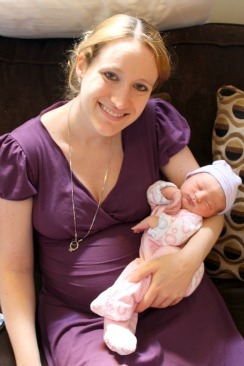 I have my few names that I really like and could see naming our baby girl, but my husband doesn't like any of my names. He has a few names he likes, but they are all so off-the-wall crazy that I can't agree to it. (For example: he likes the name Trudence, which I'm pretty sure he just made up) I think that naming your child is a huge responsibility. A name is such an important thing to give someone, and there are so many considerations that go into it. Will they be able to find a job later on with that name? Will their name constantly be mispronounced or confused with something else? Will they be teased because of the name or possible nicknames that come with it? 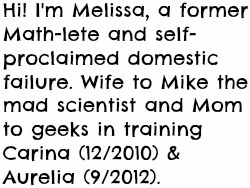 Does it sound okay with our last name? Does it sound okay with their sibling's name? Will they even like it when they're older??? Really, it could all drive you batty. I'm pretty positive that this new baby is going to be baby girl even at the hospital.... Unless we find a good construction project to start up before December. Like this post? Want to see more? 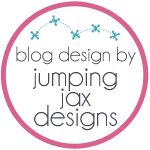 Check me out on the blog here, or in the following places: Facebook, Twitter, or follow me by email on Bloglovin! Thanks for sharing, Jayne! I personally love chatting about baby names and the thought behind them. How did you come up with your kids' names?